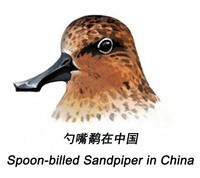 Shanghai,located at the coastline of East China,Yangzi River Delta,is one of the modernest cities in the world.The center of the city owns the majority of its population and only some greenlands hiding in the skyscrapers.More natural habitats are compressed into the remote suburbs,many of which are facing the stresses from development of industry and agriculture. 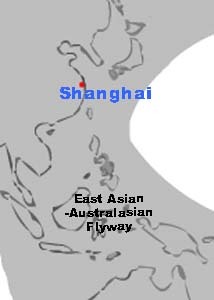 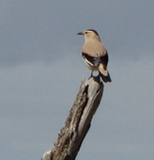 But note its importance as a stopping over site for migratory shorebirds in the East Asian-Australasian Flyway. 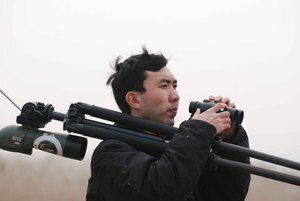 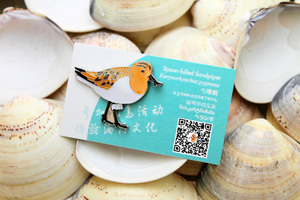 And many other kinds of birds such as passerines also pass,winter,and breed in and around Shanghai.